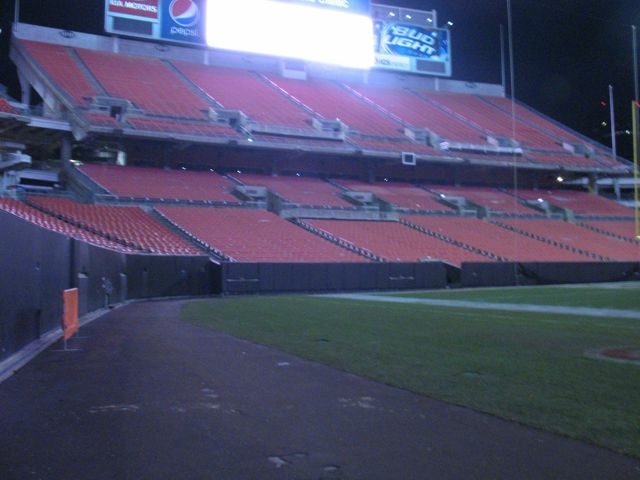 Brandon’s work Holiday party was held Saturday at Cleveland Browns Stadium. Each year the holiday party is held at a different interesting venue. When we arrived we had valet parking which was great considering I have never been to the stadium and had no idea where we were going! I underestimated the amount of time it would take to get downtown so we were early and waited outside at the gate. Refreshing at 22 degrees! 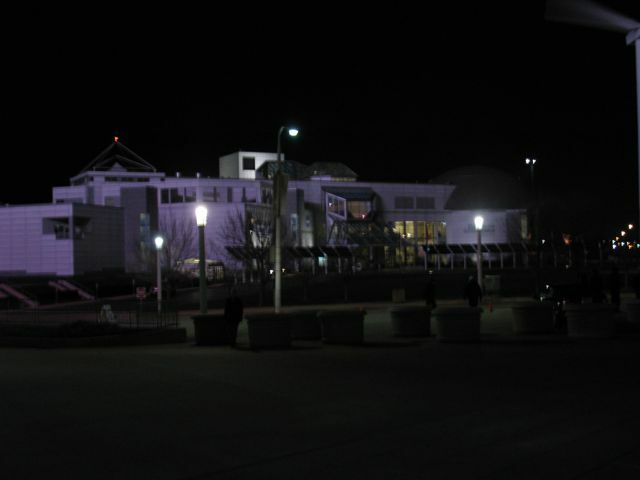 The Great Lakes Science Center looked very nice while we waited…. 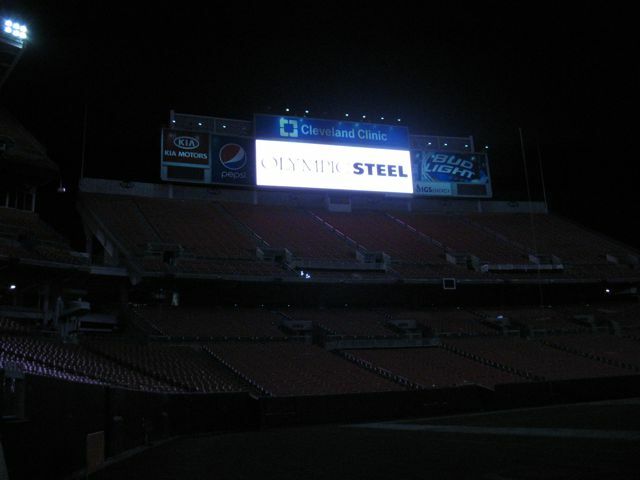 After having a cocktail, we went on the tour of the stadium. The tour took us through the Room of Legends. Honestly, I don’t know much about Cleveland Browns legends. 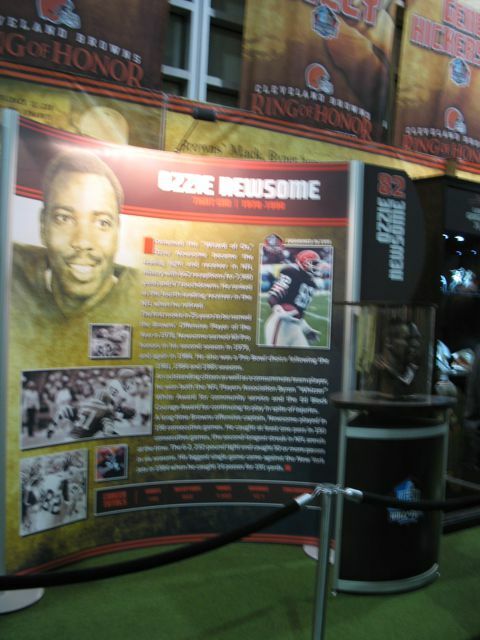 I know who Ozzie Newsome and Jim Brown are but that is about it. My camera’s batteries decided to start taking a dive about here and so did picture quality. We then got to walk along the field. We were not allowed to walk on the grass or we would be arrested (seems silly to me but we didn’t test it). 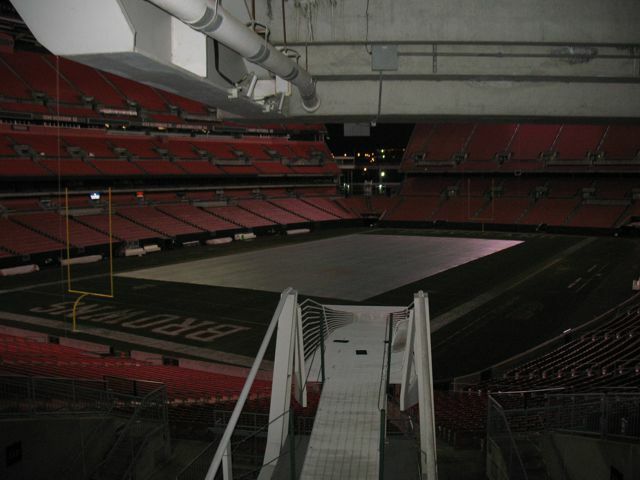 We didn’t want to see the stadium’s holding facilities. Then it was back to the club level for a fabulous meal and entertainment. We had a really nice time at the party. The food was fabulous and I am glad that we took the tour of the facility. 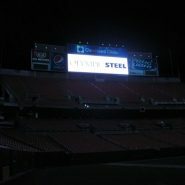 Many didn’t but we figured we might not ever be back to the stadium and I am glad we took advantage of the opportunity.